And Jesus well knew the sufferings which would befall Him there! But such was His zeal for God, and such His love to us–that He was willing to go anywhere, suffer anything, or do anything–that would honor God or do us good. 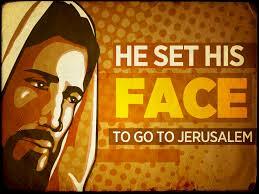 He went to Jerusalem–that we might not go to Hell. He was condemned–that we might be justified. He was punished–that we might go free. He died–that we might have eternal life. Precious Lord Jesus, may I ever be willing . . .
to suffer anything in Your cause. Another soul-disorder is anxious care. Worry or anxiety is prohibited by the gospel, because it is injurious to us, and reflects badly upon the care and kindness of God. 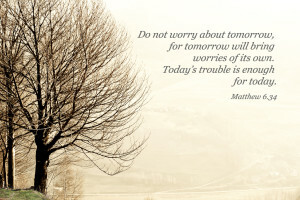 Yet we, like Martha–are anxious and troubled about many things. We lose sight of the fact that God is our Father, and as such, He is engaged to provide for us. We forget that . . .
our interests lie near our Father’s heart! The true remedy for anxious care is to realize daily, and every hour of every day . . .
that His feeding the sparrows, is a proof that He will never neglect His children. Anxiety! 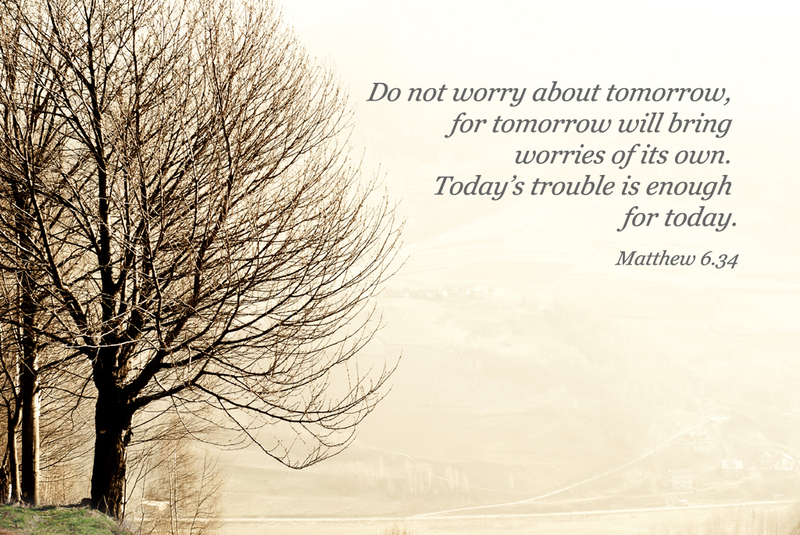 As a believer in Jesus, as a child of God–about what should I be anxious? God is my Father, and He loves me–loves me just as He loves Jesus! He cares for me–cares for me as much as He cared for the apostle Paul. He watches over me, as a tender mother watches over her precious infant! He keeps me–keeps me as the apple of His eye; and lest anything should hurt me, He will keep me night and day. He bids me cast every care upon Him. He exhorts me not to worry about anything–but in everything, by prayer and supplication with thanksgiving, to let my requests be made known unto Him. to live realizing the fact, that I am the object of the constant, tender, loving care of God–that my God cares for me, for my best interests, for my everlasting welfare! Yes, this is the only true remedy! Jesus taught that we should live, “not to be served–but to serve”. This is a lesson that it is very hard to learn. It is easy enough to utter sentimental platitudes about the nobleness of service–but no one can truly live after this heavenly pattern, until his being is saturated with divine grace. There are countless opportunities for usefulness and helpfulness open to earnest Christians. Every day’s life is full of occasions where good may be done by simple deeds, or words of kindness. The value of these unpurposed things is very great. We may live all day and every day–so that each step of our path shall be brightened by loving service. The world needs our love continually. We meet no one from morning until night–whom we may not help in some little way at least. It is possible for us to make a good deal more than most of us do, of these opportunities for the service of love. Every individual Christian is the center of a circle whose hearts he may touch with a blessing of love. He is a custodian of blessing which he is to impart to others. The noblest life, is the one that is given up most unselfishly to serving. God has so ordered, that we cannot love and serve Him–and not also love and serve our fellow-men. Jesus made this very plain in His picture of the last judgment, when He said that He is hungry–in every hungry little one of His; that He is sick–in every least one of His who is sick; that in the stranger who comes to our door–He stands before us, waiting for the hospitality of love. In serving His people–we are serving Him! In neglecting His people–we neglect Him! To act selfishly toward a believer–is to act selfishly toward Christ. To neglect a believer who needs our help–is to neglect Christ Himself. To do good to any in Christ’s name–is to serve Christ Himself. We must look upon every believer–as if he were Christ. We dare not pass by anyone carelessly. We know not to whom we may have a duty of love. We are always safe in assuming that we have an errand of love to everyone we meet. We need not announce our mission, and we must never display ostentation in the discharge of our duty of love. We need only to hold ourselves in readiness, with all of love’s humility, alacrity, and gentleness, to do whatever heart or hand may find to do in serving him. Our duty to him, may be nothing more than the showing of kindness in our manner, the giving of a hearty greeting, or the inspiration of a cheerful countenance. But however small the service may be which it is ours to render, it is a divine ministry! No mere theoretical acknowledgment of this universal obligation will avail. Lofty sentiment is not enough; we must get the sentiment into practical life. We must bring our visions down out of ethereal mists–into something substantial and real. We must let the love of our heart, flow out in life, and act, and helpful ministry. We can learn this divine lesson of service–by regarding every person we meet, as one to whom we are sent on an errand of love. This will put an end to all our supercilious pride and haughtiness. We shall no more set ourselves up on little pedestals of self-conceit, demanding homage from others. Rather, like our Master, we shall stand with basin and towel, ready to wash the feet of the lowliest. One reason which our Lord gives against anxiety for the future, is that we have nothing to do with the future. God gives us life by days—little single days. Each day has . . .
its own griefs and sorrows. God always gives us strength enough for the day. But if we insist on dragging in tomorrow’s cares and piling them on top of today’s cares–our strength will not be enough for the load. God will not give additional strength–just to humor our whims of worry and distrust. So the lesson is, that we should keep each day distinct–and attend strictly to what it brings to us. Charles Kingsley says: “Do today’s duty, fight today’s temptation–and do not weaken and distract yourself by looking ahead to things which you cannot see, and could not understand if you saw them.” We really have nothing at all to do with the future–except to prepare for it, by doing the duties of today with fidelity. No one was ever crushed by the burdens of one day. We can always get along with our heaviest load–until the sun goes down. Well, that is all we ever have to do. Tomorrow? Oh, you may have no tomorrow; you may be in Heaven. If you are here–God will be here too, and you will receive new strength sufficient for the new day.